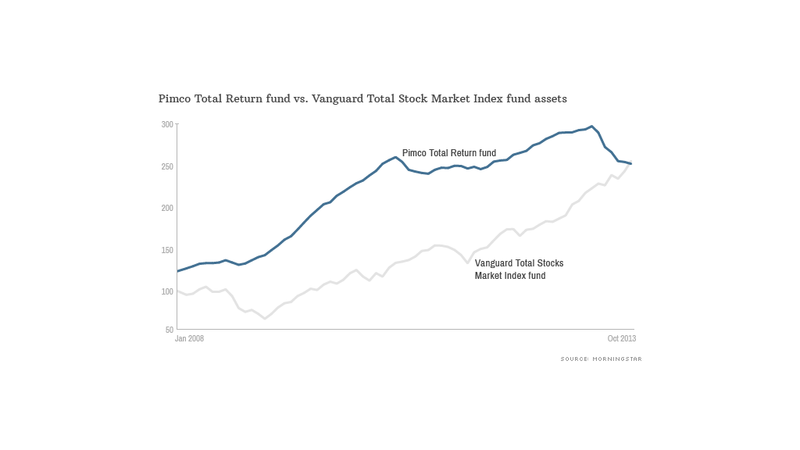 Rising interest rates and a surging stock market have helped Vanguard's top stock fund to vault ahead of Pimco's Total Return bond fund. Bad news for Bill Gross. The bond king's flagship mutual fund is no longer the largest in the world. Investors have been bailing out of Pimco's Total Return Fund (PTTRX) for six months straight, yanking more than $30 billion and pushing its total assets down to less than $250 billion as of Oct. 31, according to Morningstar data. The fund has lost 1% of its value so far this year. The top spot now belongs to the Vanguard Total Stock Market Index Fund (VITSX), which boasts $251 billion in assets as of last month. Pimco's flagship fund first became the most the world's largest mutual fund in November 2008, when it dethroned the American Funds Growth Fund of America (AGTHX). Those were different times. Five years ago, investors began pouring money into bond funds in search of safety during the height of the financial crisis. Even as stocks bottomed in March 2009, the Pimco Total Return Fund still kept growing until recently. The fund started to lose assets in May. 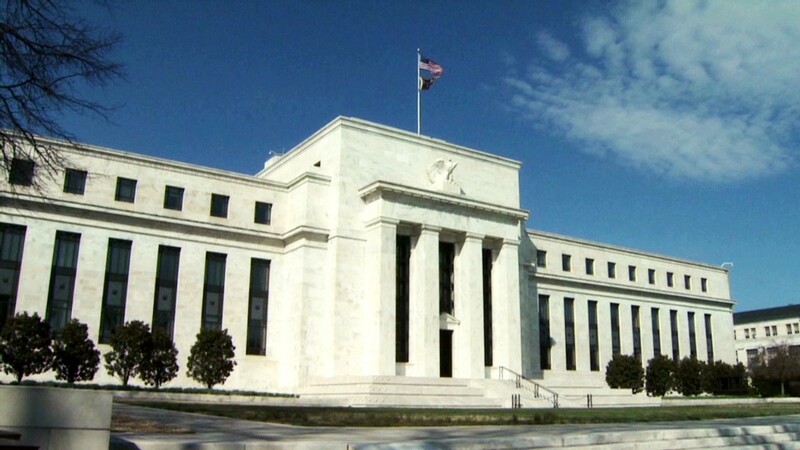 That's when interest rates spiked after the Federal Reserve began talking about scaling back, or tapering, its bond purchase program. The Pimco Total Return ETF (BOND), which aims to mimic the performance of the mutual fund, has also been suffering outflows in recent months. Still, the ETF has raked in $88 million from investors this year. Meanwhile, with the bull market in stocks in its fourth year, investors are adding more money to stock market funds. U.S. stock market mutual funds have gained nearly $16 billion in assets this year, while bond funds have lost more than $34 billion, according to Investment Company Institute data. The Vanguard Total Stock Market Index Fund, which owns more than 3,600 stocks, has gained $65 billion in assets this year and has gained 26% in value. The fund offers investors exposure to companies of all sizes in a variety of sectors. But its largest positions are in some of the biggest and most well-known companies in the world: Apple (AAPL), Exxon Mobil (XOM), Microsoft (MSFT), Johnson & Johnson (JNJ) and General Electric (GE) are the fund's five biggest holdings.